The ICT and Semiconductors domain at Infinium caters to sub-sectors such as telecommunications, Internet of Things, Internet of Everything, Networking, Modules, components, semiconductors, conducts inks and many more! 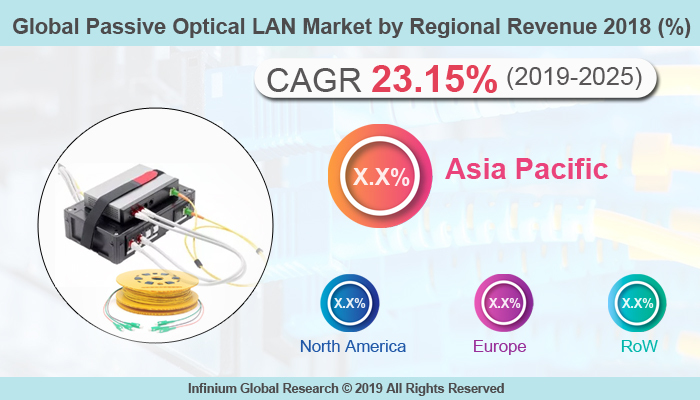 A recent report published by Infinium Global Research on solid-state laser market provides in depth analysis of segments and sub-segments in global as well as regional solid-state laser market. The report is a comprehensive presentation of trends, forecast and dollar values of global solid-state laser market. According to report the global solid-state laser market is projected to grow at a CAGR of 3.5% over the forecast period of 2018-2024. 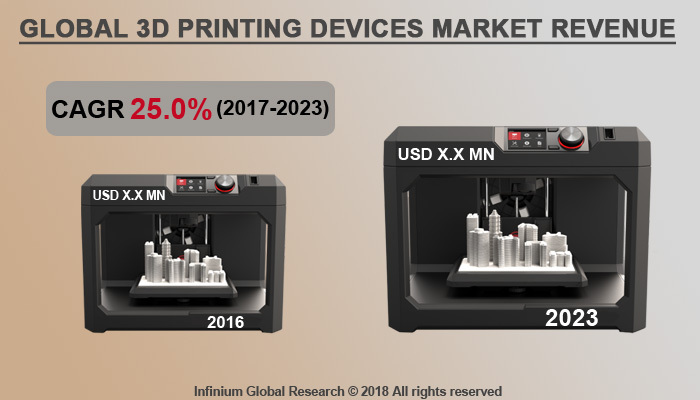 A recent report published by Infinium Global Research on plastic extrusion machinery market provides in depth analysis of segments and sub-segments in global as well as regional plastic extrusion machinery market. The report is a comprehensive presentation of trends, forecast and dollar values of global plastic extrusion machinery market. According to report the global plastic extrusion machinery market is projected to grow at a CAGR of 3.7% over the forecast period of 2018-2024. The report on global cloud monitoring market is an in depth analysis of the segments and sub-segments. The report provides analysis for the global as well as regional markets over the period of 2016 to 2024. According to report the global cloud monitoring market is expected to grow at a CAGR of 18.6% over the forecast period of 2018 - 2024. The report on global communications test and measurement market is an in-depth analysis of the segments and sub-segments. The report provides analysis for the global as well as regional markets over the period of 2016 to 2024. According to the report, the global communications test and measurement market are expected to grow at a CAGR of 12.9% over the forecast period of 2018 - 2024. The report on global control valves market is an in depth analysis of the segments and sub-segments. The report provides analysis for the global as well as regional markets over the period of 2016 to 2024. According to report the global control valves market is expected to grow at a CAGR of 7.1% over the forecast period of 2018 - 2024. The report on global cryostats market is an in depth analysis of the segments and sub-segments. The report provides analysis for the global as well as regional markets over the period of 2016 to 2024. 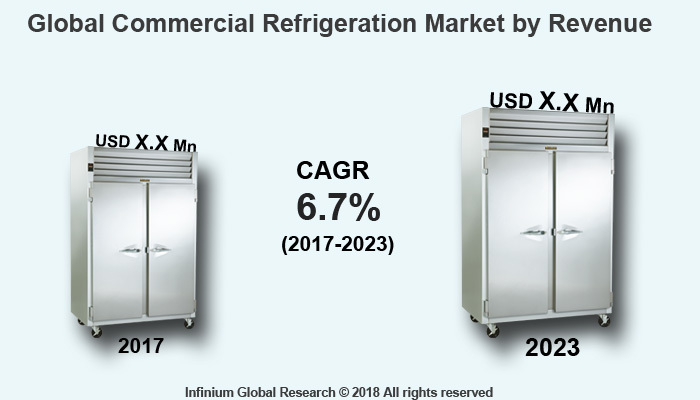 According to report the global cryostats market is expected to grow at a CAGR of 5.2% over the forecast period of 2018 - 2024. The report on global data center power market is an in depth analysis of the segments and sub-segments. The report provides analysis for the global as well as regional markets over the period of 2016 to 2024. According to report the global data center power market is expected to grow at a CAGR of 9.50% over the forecast period of 2018 - 2024. The report on global 3D metrology market is an in depth analysis of the segments and sub-segments. The report provides analysis for the global as well as regional markets over the period of 2016 to 2024. According to report the global 3D metrology market is expected to grow at a CAGR of 8.50% over the forecast period of 2018 - 2024. The report on global adaptive optics market is an in depth analysis of the segments and sub-segments. The report provides analysis for the global as well as regional markets over the period of 2016 to 2024. According to report the global adaptive optics market is expected to grow at a CAGR of 40.3% over the forecast period of 2018 - 2024. The report on global airport security market is an in depth analysis of the segments and sub-segments. The report provides analysis for the global as well as regional markets over the period of 2016 to 2024. According to report the global airport security market is expected to grow at a CAGR of 6.7% over the forecast period of 2018 - 2024. The report on global anti-jamming market is an in depth analysis of the segments and sub-segments. The report provides analysis for the global as well as regional markets over the period of 2016 to 2024. According to report the global anti-jamming market is expected to grow at a CAGR of 9.1% over the forecast period of 2018 - 2024. The report on global audio codec market is an in depth analysis of the segments and sub-segments. The report provides analysis for the global as well as regional markets over the period of 2016 to 2024. According to report the global audio codec market is expected to grow at a CAGR of 3.5% over the forecast period of 2018 - 2024. The report on global automated optical inspection market is an in depth analysis of the segments and sub-segments. The report provides analysis for the global as well as regional markets over the period of 2016 to 2024. According to report the global automated optical inspection market is expected to grow at a CAGR of 16.2% over the forecast period of 2018 - 2024. The report on global automatic identification systems market is an in depth analysis of the segments and sub-segments. The report provides analysis for the global as well as regional markets over the period of 2016 to 2024. According to report the global automatic identification systems market is expected to grow at a CAGR of 3.2% over the forecast period of 2018 - 2024. The report on global autonomous underwater vehicles market is an in depth analysis of the segments and sub-segments. The report provides analysis for the global as well as regional markets over the period of 2016 to 2024. According to report the global autonomous underwater vehicles market is expected to grow at a CAGR of 21.7% over the forecast period of 2018 - 2024. A recent report published by Infinium Global Research on E-cigarette market provides in depth analysis of segments and sub-segments in global as well as regional E-cigarette market. The report is a comprehensive presentation of trends, forecast and dollar values of global E-cigarette market. According to report the global E-cigarette market is projected to grow at a CAGR of 26.8% over the forecast period of 2018-2024. The report on global chatbots market is an in depth analysis of the segments and sub-segments. The report provides analysis for the global as well as regional markets over the period of 2016 to 2024. According to report the global chatbots market is expected to grow at a CAGR of 27.5% over the forecast period of 2018-2024. The report on global integration platform as a service market is an in depth analysis of the segments and sub-segments. The report provides analysis for the global as well as regional markets over the period of 2016 to 2024. According to report the global integration platform as a service market is expected to grow at a CAGR of 39.1% over the forecast period of 2018-2024. The report on global nanosatellite and microsatellite market is an in depth analysis of the segments and sub-segments. The report provides analysis for the global as well as regional markets over the period of 2016 to 2024. According to report the global nanosatellite and microsatellite market is expected to grow at a CAGR of 12.5% over the forecast period of 2018-2024. The report on global satellite payload market is an in depth analysis of the segments and sub-segments. The report provides analysis for the global as well as regional markets over the period of 2016 to 2024. 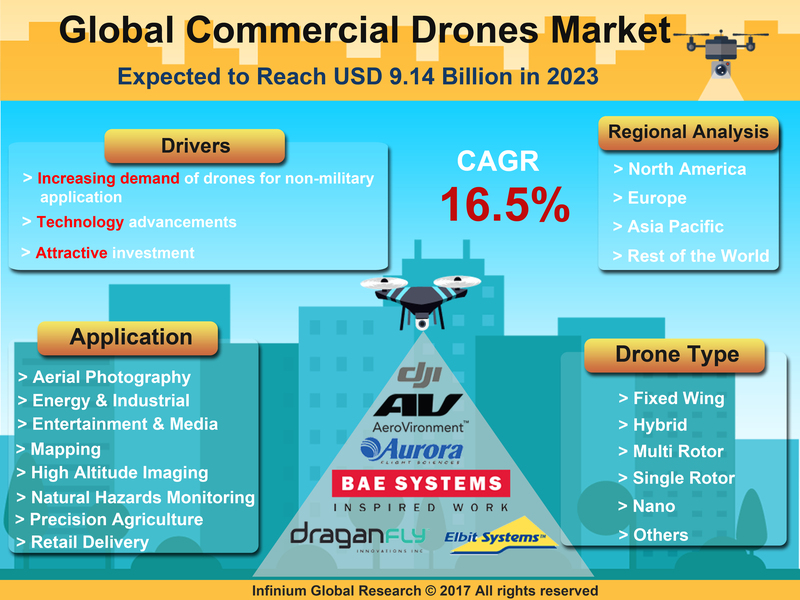 According to report the global satellite payload market is expected to grow at a CAGR of 8.4% over the forecast period of 2018-2024. The report on global threat intelligence market is an in depth analysis of the segments and sub-segments. The report provides analysis for the global as well as regional markets over the period of 2016 to 2024. According to report the global threat intelligence market is expected to grow at a CAGR of 18.10% over the forecast period of 2018-2024. A recent report published by Infinium Global Research on industrial robotics market provides in depth analysis of segments and sub-segments in global as well as regional industrial robotics market. The report is a comprehensive presentation of trends, forecast and dollar values of global industrial robotics market. According to report the global industrial robotics market is projected to grow at a CAGR of 9.7% over the forecast period of 2018-2024. Motion capture technology is used to record the movement of objects or people. It takes into consideration the recording actions of human actors, and using that information digital character models are animated into 2D or 3D. Various applications of 3D motion capture are in entertainment, military, healthcare, sports and computers among others. The global 3D motion capture systems market was valued at USD 112.3 million in 2016 and is expected to grow at a CAGR of 11.5% over the period of 2018 to 2024. 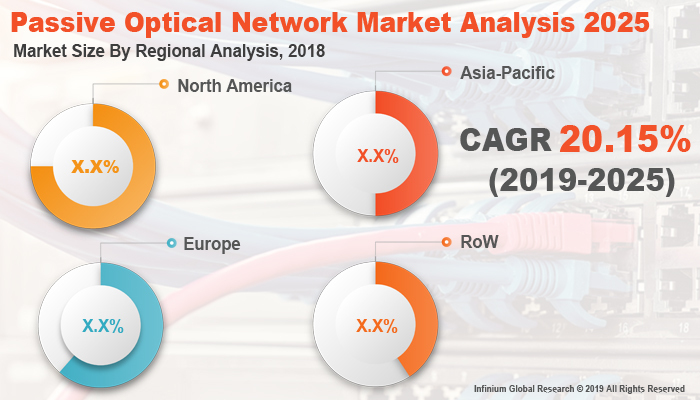 A recent report published by Infinium Global Research on non – volatile dual in–line memory module (NVDIMM) market provides in depth analysis of segments and sub-segments in global as well as regional non – volatile dual in–line memory module market. The report is a comprehensive presentation of trends, forecast and dollar values of global non – volatile dual in–line memory module market. According to report the global non – volatile dual in–line memory module market is projected to grow at a CAGR of 45.5% over the forecast period of 2017-2023. A recent report published by Infinium Global Research on quantum dots market provides in depth analysis of segments and sub-segments in global as well as regional quantum dots market. The report is a comprehensive presentation of trends, forecast and dollar values of global quantum dots market. According to report the global quantum dots market is projected to grow at a CAGR of 63.9% over the forecast period of 2017-2023. A recent report published by Infinium Global Research on thermoelectric generators market provides in depth analysis of segments and sub-segments in global as well as regional thermoelectric generators market. The report is a comprehensive presentation of trends, forecast and dollar values of global thermoelectric generators market. According to report the global thermoelectric generators market is projected to grow at a CAGR of 14.5% over the forecast period of 2017-2023. The global contactless smart card market was sized over USD 20.60 billion in 2016. The global contactless smart card market is projected to grow with a CAGR of 35.3% during 2018-2024. User-friendly interface, increased use of electronic purses, need to reduce identity duplication, and demand for tamper-resistant systems remains the key factor driving the growth of global contactless smart card market. The report on global thin film and printed battery market is an in depth analysis of the segments and sub-segments. The report provides analysis for the global as well as regional markets over the period of 2015 to 2023. According to report the global thin film and printed battery market is expected to grow at a CAGR of 24% over the forecast period of 2017 - 2023. The report on global air traffic control market is an in depth analysis of the segments and sub-segments in the Air Traffic Control Market. The report provides analysis for the global as well as regional markets over the period of 2016 to 2024. According to report the Global Air Traffic Control Market is expected to grow at a CAGR of 10.5% over the forecast period of 2018 – 2024. A recent report published by Infinium Global Research on earphones and headphones market provides in depth analysis of segments and sub-segments in global as well as regional markets of earphones and headphones. In terms of value and volume, the global earphones and headphones market is projected to grow at a CAGR of 6.2% and 3.99%, respectively, during the forecast period of 2017 – 2023.